I am feeling a shift in my business and it’s pretty awesome. Lately, I’ve been very busy with projects, booking up weeks ahead, and I can’t say enough how grateful I am to do what I love. There has been many changes throughout the years as my business has grown and now there will be more. In the next few weeks I plan to update my website, feature more design packages, refresh the shop, and start a new stationery series. And since my son will be starting preschool on the 10th, my schedule will allow me more time to work as well. I feel like a door is opening and my story is evolving. Looking forward to the changes coming my way and excited to share them all with you soon. I think a lot of people love to have art and photographs featured in their homes, but sometimes don’t know what size, style, or type of frame to choose. There are so many options out there, but I recommend just hanging things you love and that represent you. Whether they are family photographs or your own personal pieces of art, including mementos, keepsakes, and work is always nice. Remember, your home should reflect who you are and all the beautiful things you choose to surround you is part of that. Now when it comes to purchasing art for your space, it should be the last thing you do. Once you know how much of the wall you have and where, then you are ready. Sometimes, people will design a space around a piece of art, which works too. But you should always have a plan. Depending on the space you have to work with, you can either hang a large piece, create a gallery wall of smaller pieces, or feature a few medium sized items. You need to take the furniture, windows, and doors into consideration as well. I know I have mentioned it before, but DO NOT hang pictures above windows or doorways. It’s just not right, lol. Eye level is always the rule, with the exception of gallery walls. And if you are a bit shorter than most people, just raise it no more than 2 inches. Here are some good examples of using space wisely with art. I hope they bring you some inspiration when choosing what to hang in your own home. Enjoy! 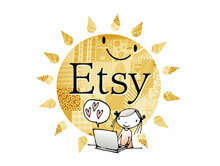 I updated my Minted shop yesterday and plan to add more items soon. If only there were more hours in the day. I have endless lists of things that I would like to get done. Just visit minted.com/store/graystardesign to check it out. This image is a great example of how negative space can really help your cabinets look fresh. A few pieces on top, a lamp or a pair of vases, and either one of more pieces of art. Always remember that most of the time groups of three look best. Take note of the symmetry that comes into play on the shelves. The horizontal and vertical stacks on each side, the few round decorative items to help keep the space fluid, and the size of the items help keep everything even. If you want your shelves to stand out, then keeping within a color scheme will do the trick. Because everything on the shelves are cohesive, they will actually pop more. As apposed to having so many different things thrown together, which can just end up looking like a big mess. Below is a great example of how finished and fresh this idea can be. Yellow and White are taking the main stage here, as pretty dining pieces are featured. A few books, photographs, and other decorative items help mix it up a bit for more visual interest. You can also organize books by color to really make a statement. Now this can be tricky, but you can have a bunch of items on a shelf with books and have it look pretty cool. The photo below is a nice example of how to do this. Notice the decorative items are all of the same theme, birds! And the colors of those items are found in the books as well. This is how to keep it less messy and more about making sense.